5. Communication is more important than ever. The awareness about the need to communicate and educate about forests, forestry and climate change is raising in the scientific community. We learned at the Congress that we must use science-based facts to fight fake news. Some amazing cases about communicating forest science and citizen science projects were presented at the congress. See my poster presentation 5 principles for communicating about forest genetic resources (link). 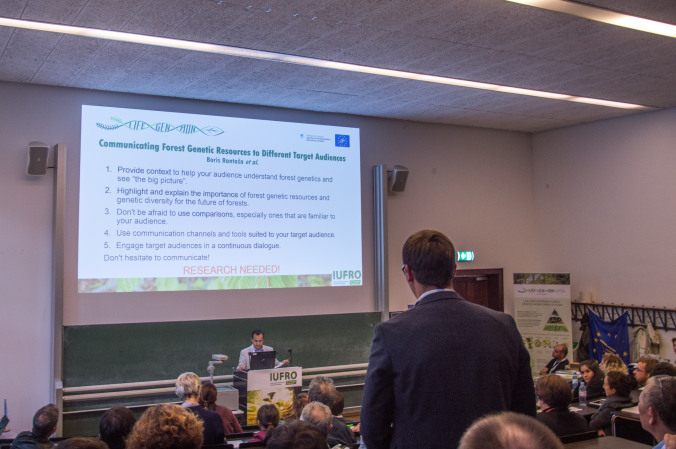 In "125th Anniversary Congress", "Event", "IUFRO Spotlight", "Publications"